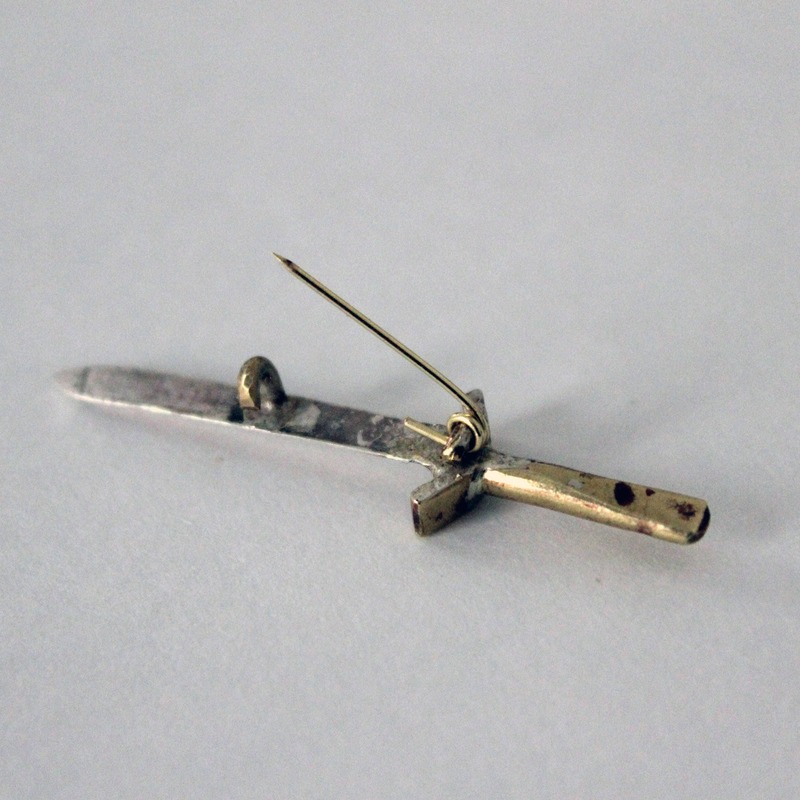 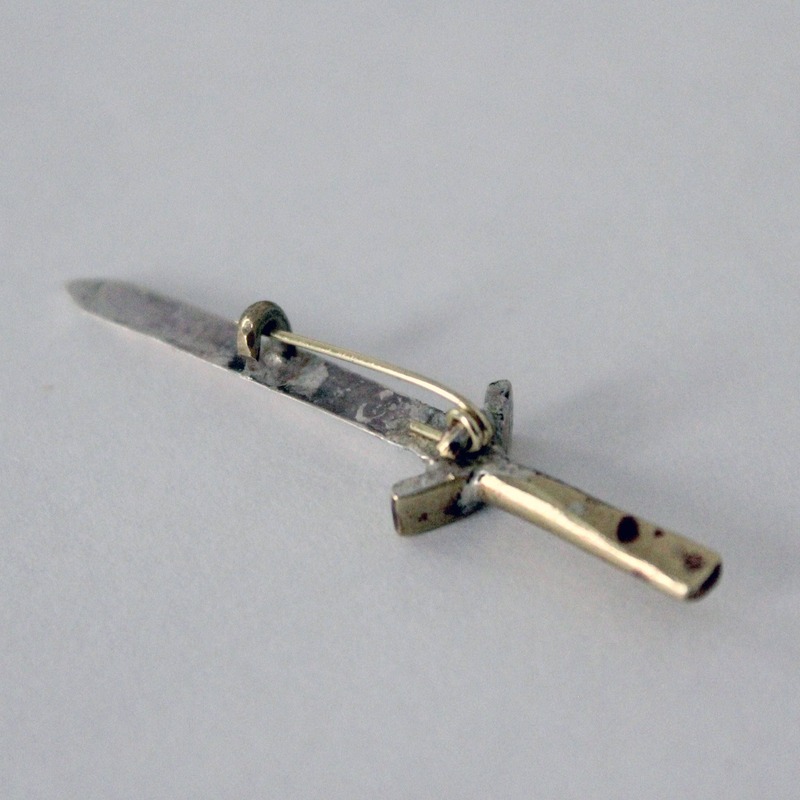 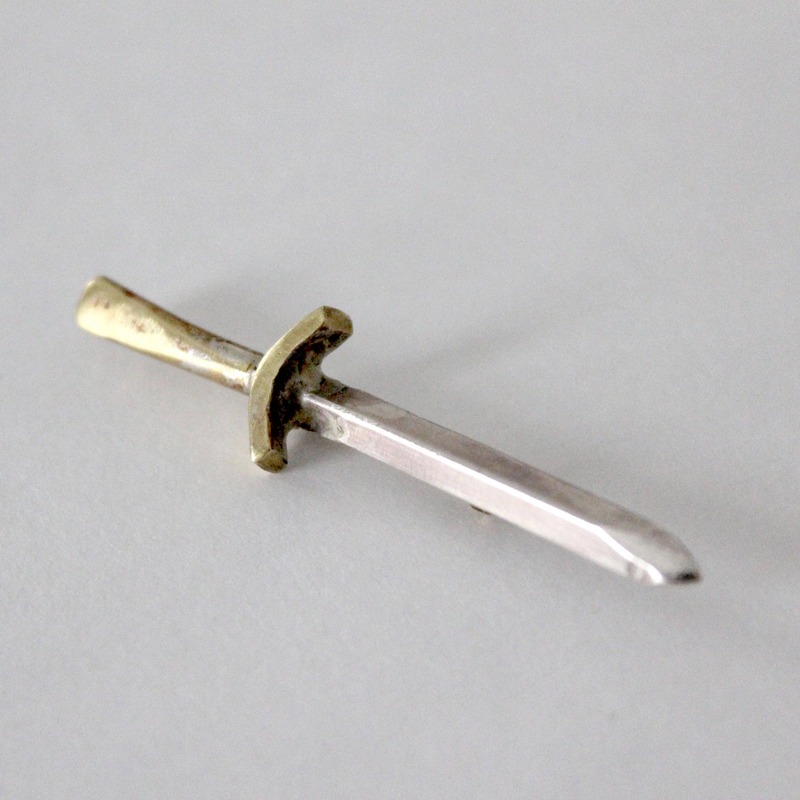 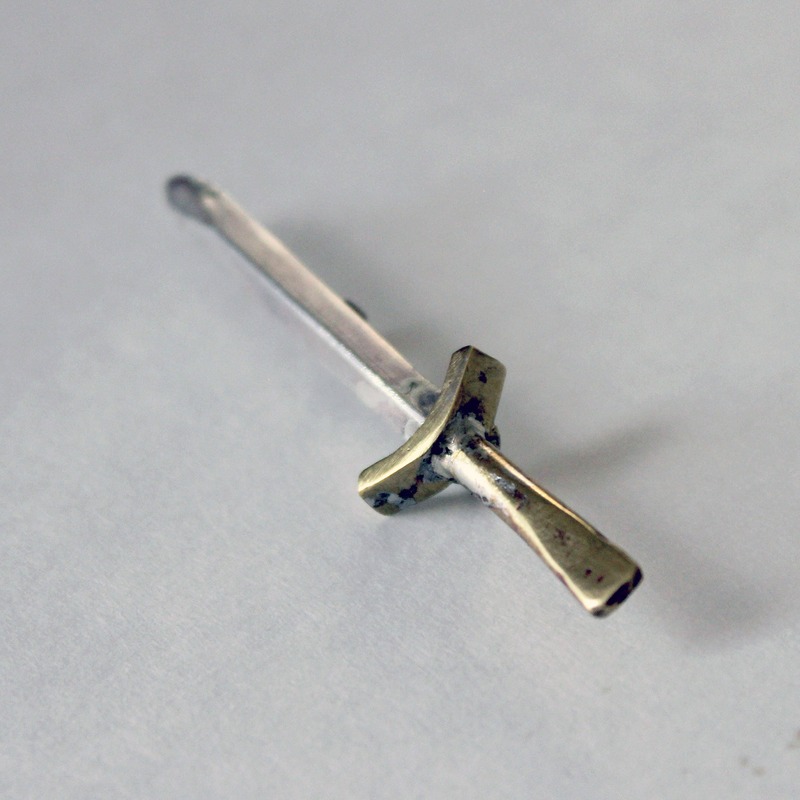 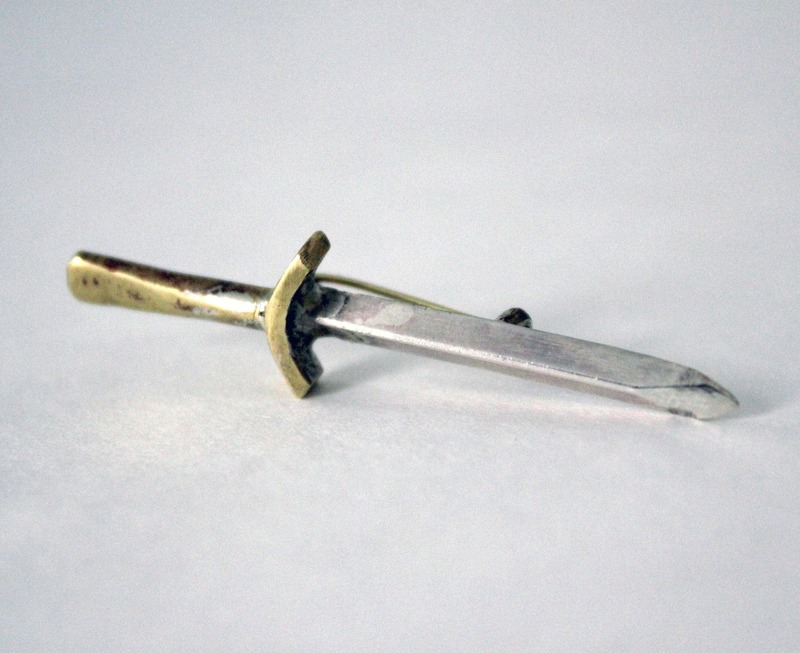 I use solid sterling silver and beautiful golden-hued brass, to carefully hand cut, form, and solder these one of a kind dagger pins. 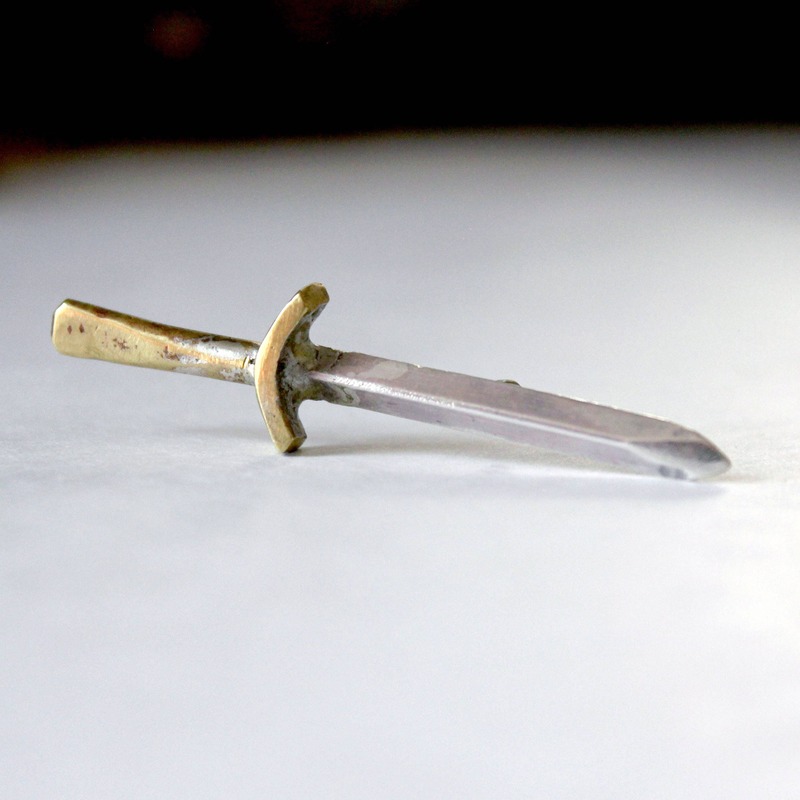 The dagger is about 2" long and .5" at it's widest point. 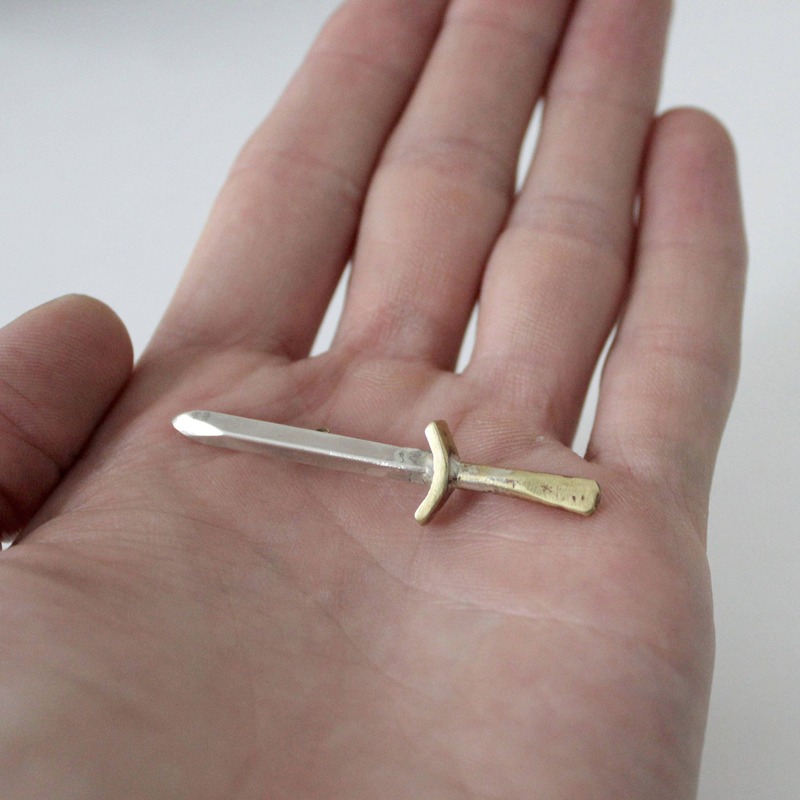 The "blade" is about 3/16" wide. 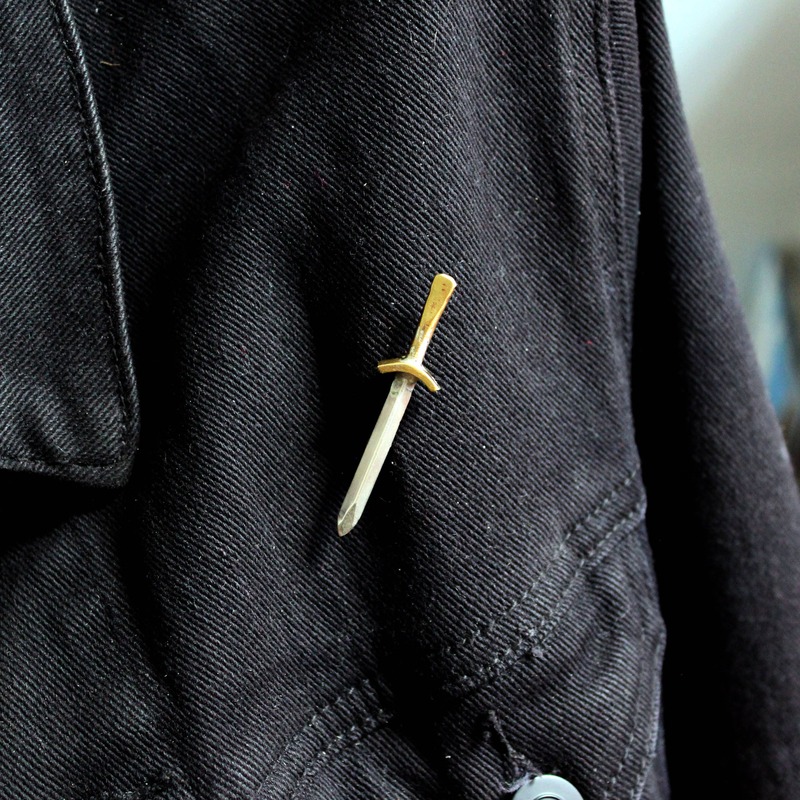 The pin on the back is steel, and has a nice spring-y clasp.